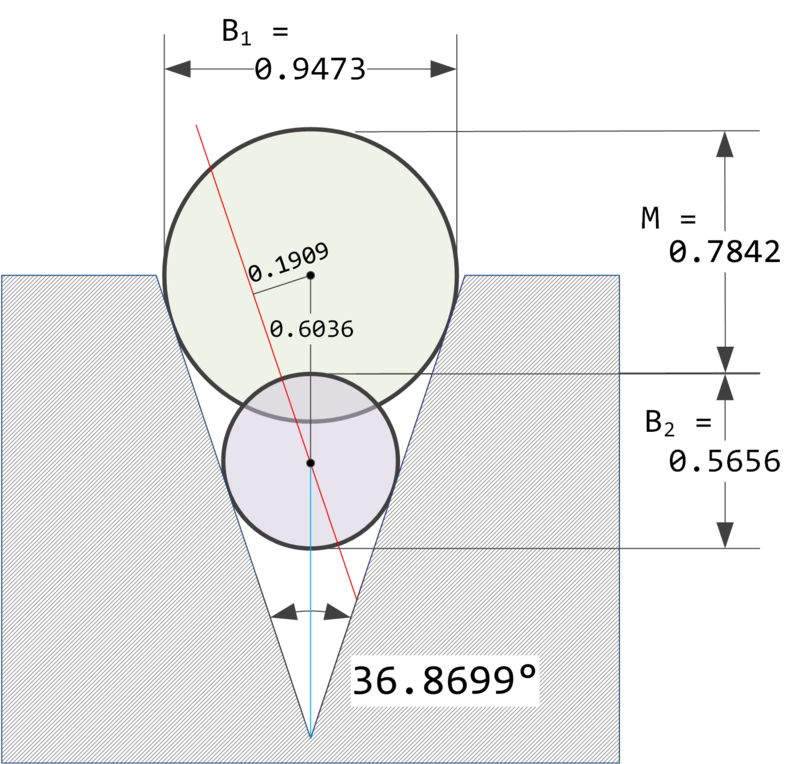 This post will cover how to measure a countersink angle using gage balls. Figure 1 shows how a countersink is normally specified on an engineering drawing. I frequently use countersinks in my wood and metal working hobbies. 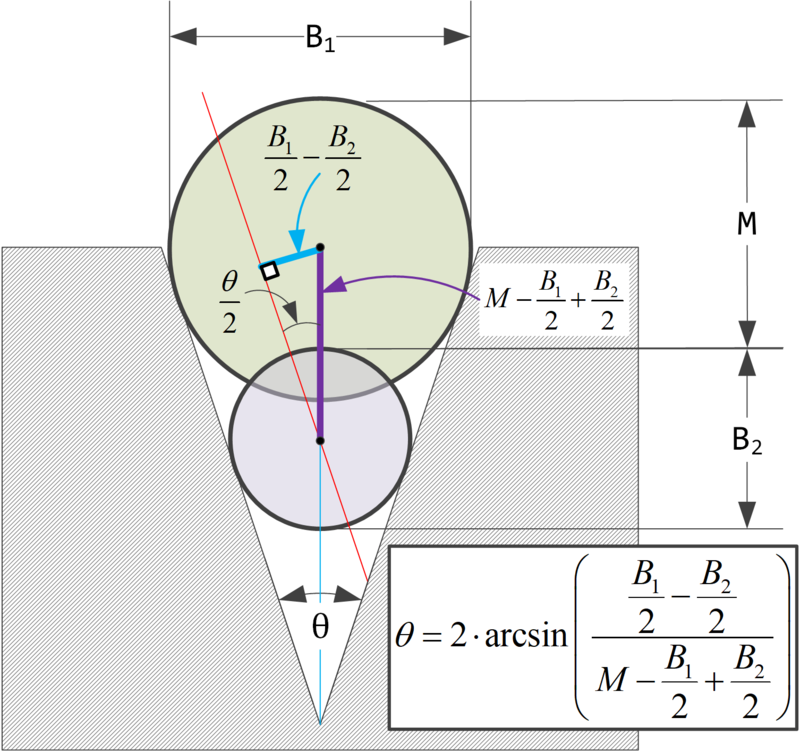 In addition, using gage balls to measure the countersink angle provides a good example of how to apply basic geometry concepts to a practical problem. I use this example in my role as a volunteer adult math tutor at our local library. Two gage balls of different diameters are used to measure the countersink angle (θ). Figure 2 shows the key variables involved: the diameter of ball 1 (B1), the diameter of ball 2 (B2), and the height difference when placed into the countersink (M). 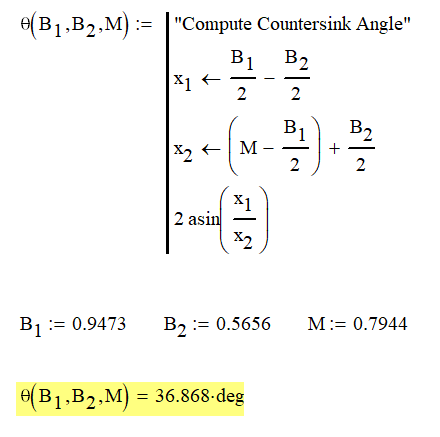 Figure 2 also presents the formula for the countersink angle θ. The derivation requires only to apply the definition of the sine of a right triangle. Figure 2: Illustration Defining the Variables Used in This Derivation. Figure 3 shows a scale drawing of a countersink angle measurement example. Figure 3: Countersink Angle Determination Example. Figure 4 shows how I performed the calculations in Mathcad. This entry was posted in General Mathematics, Metrology. Bookmark the permalink.